This excellent new addition to the music stand light range will no doubt prove to be very popular. 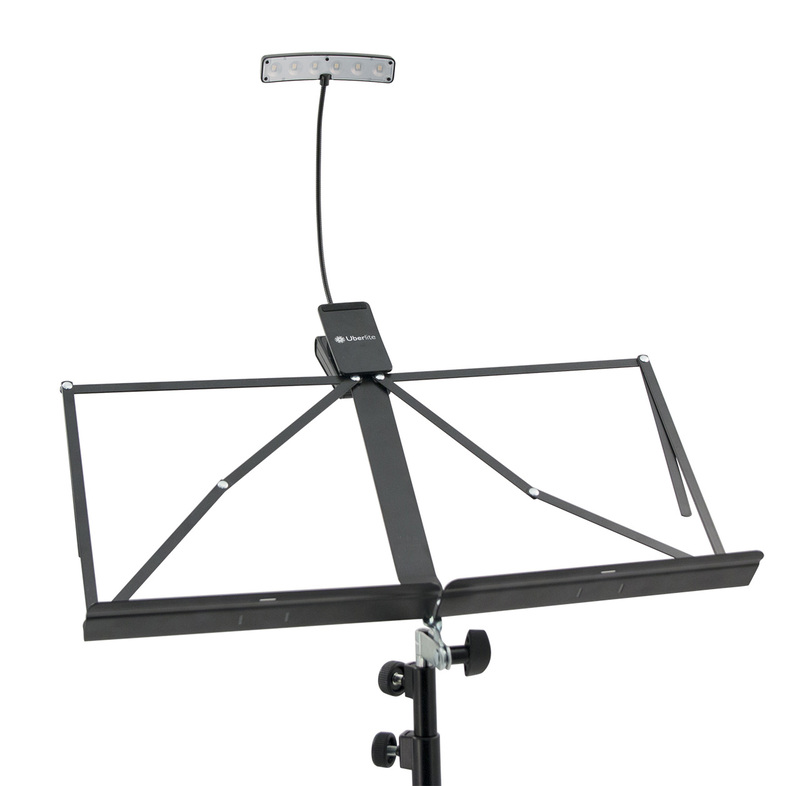 It's very elegant and sleek in design and sits comfortably on just a standard 3 section music stand without being too top heavy. The brightness is extremely good for an LED unit and the brightness is adjustable as well so if you need to keep it lower you can do. What's very smart is that it comes on with just a touch and the wide beam ensures left to right coverage across a full double page spread of music. Wide LED beam ensures even and broad music illumination. Touch controls for on, off and brightness level. Full brightness is excellent and comparable with standard bulb types. Powered by 3 x AAA Batteries (Supplied) or via USB. Elegant sleek design that is light enough to be used on smaller stands as well. Attaches firmly to music stand. Gives even spread of light. This is an amazing little light. Don't be put off by it's small size. It gives a nice warm light, not a cold one like some other music stand lights. And it well covers all the music. Another little bonus is the packaging it comes in you can use for taking the light from gig to gig. I highly recommend this music stand light.